Should Your Business Go Cashless? Visa Thinks So. The way we pay for things is changing. The wide availability of credit cards, debit cards, contactless payments, and online shopping has transformed our payment options. The use of cash as the de facto payment option is shrinking, and nearly 40% of Americans favor going completely cash-free. Then, in the summer of 2017, Visa stepped up a “war on cash” by offering businesses money to go cashless. If you run a business, it’s almost inevitable that much of your sales are made using a method other than cash. Although that’s especially true of exclusively online businesses, almost every type of business has seen these changes. The question is, should you go cashless altogether and stop accepting bills, coins, and checks? The answer is “it depends.” To help you make the decision, we’ve explored the various viewpoints, information, statistics, benefits, and drawbacks of going cashless, and we’ll provide you with a complete view to help you make the decision. If your business is online only, it’s very likely you never take payment by cash. If you’re a traditional or hybrid business, the choices aren’t so clear cut. Depending on the type of business you run, here’s how the various payment methods add up. It’s against this background that you need to decide whether you want to go cashless. Here’s a quick overview of the main advantages.As you can see, as products and services become more expensive, consumers are more likely to use credit or debit cards. Overall, statistics show that Americans use cash for around 14% of their everyday purchases, with 80% using a debit or credit card. 73% of Americans say they use cash less today than they did ten years ago. There are several significant benefits to moving to a cashless payment model, including faster service, easier financial reconciliation, reduced risk of theft, and appeal to customers who don’t carry cash. Using cash slows down how quickly you can serve customers and increases your staff overhead. From your customer getting to their wallet or purse, sorting through their bills, paying your employee, and getting change, everything takes a little longer. A debit card, credit card, or contactless payment is a much faster and more efficient way of doing business. When it comes to cash, human error can be costly. Giving out incorrect change can add up, and that is completely removed if you move to a cashless payment system. Counting up all of your cash, checking it against receipts, sorting it, and taking it to the bank all take time. Additionally, you’ll need to collect and store change for all your cash transactions. Credit and debit card transactions will be automatically reconciled and paid into your bank account within a few days of taking payment. This can enhance your cashflow and free up your finances, while reducing the administration overhead on your staff. If you use online accounting software, it can often update your finances in real time, based on your bank balance, including deposited debit and credit card transactions. This gives you greater insight into how your business is doing, right now. Hopefully this won’t be an issue for your business, but another benefit of going cashless is that it limits opportunities for theft. We’ve all heard stories of light-fingered employees lifting a little extra money from the cash register or criminals breaking in and raiding your safe. Moving to a cashless transaction system significantly reduces the chances of losing money to theft. Millennials and the younger generation are more attracted to digital wallet, contactless, and other payment methods. Emphasizing these shows you’re a more innovative business, which could make you more attractive when it comes to attracting these types of customers. Read more about Digital Wallets. Overall, the main benefits of going cashless are to reduce employee administration and overhead, make customer service faster and easier, reduce risk and human error, and make yourself attractive to more technically-minded customers. Of course, there are also a few disadvantages to going cashless, which must be considered as well. The drawbacks to a no-cash business include the costs of processing cards, risks of card fraud, and alienating cash-preferring or unbanked customers. As you know, there are costs associated with accepting credit and debit cards, normally around 2% to 3% of the transaction value. If you move more people to paying with cards, you will need to pay transaction fees on those payments too. There’s good news though — customers often buy more when using a card and businesses with higher transaction volume may be able to get better pricing. Even if you’re a smaller business with low volume, you can get competitive pricing for accepting credit cards. We can help you find the most competitive payment providers and merchant accounts to keep your costs low. If you’d like help finding the right credit card processor for your needs, try CardFellow’s free, no obligation quote comparison tool. It’s also worth remembering that accepting cash isn’t free. You may have costs ranging from deposit fees to armored car pickup fees if you’re handling a lot of cash. The costs of accepting credit and debit cards are often balanced by customers using cards to make larger purchases. Although you’re eliminating the risk of cash theft or fraud, taking more cards does slightly increase your risk of card fraud. Fortunately, technology and sophisticated fraud detection does make this unlikely, but it doesn’t remove the risk altogether. Services like MinFraud and Kount can help you reduce the risk of fraudulent transactions. You will also need to invest in training employees on fraud and ensure that you’re PCI compliant. Part of your customer base may not want to move away from cash. This depends on the sector you’re in and the type of customers you serve. Before you go cashless, it’s worth asking your regulars if there would be an impact on them if you were to move to a cashless business. You don’t want to significantly reduce your customer base because you’ve removed a payment option. Remember that what customers say and what they actually do are sometimes different things. If you implement a cashless program, be sure to monitor your sales closely and compare it to before the change. There are around 10 million households in the US who do not have bank accounts. These “unbanked” families are not able to get access to debit or credit cards, so they would not be able to pay for goods and services at a cashless business. One of the things that has reignited the discussion about going cashless is Visa’s offer of up to $10,000 to 50 small businesses if they decide to give up cash altogether. “We are declaring war on cash,” said Andy Gerlt, a spokesman for Visa. Businesses that receive the funding from Visa can use it to upgrade their sales equipment, train staff, carry out marketing, and otherwise promote the cashless movement. Visa’s war on cash is obviously self-serving; the company hopes to encourage even more credit card transactions. As the largest credit card brand, Visa stands to gain the most by increased credit card usage. The company also owns the Interlink and Plus debit network systems, so it would benefit from increased debit usage as well. But just because increased card usage would benefit Visa doesn’t mean it can’t also benefit your business or your customers. If you’re considering going cashless, here’s a roadmap for getting started. Track the various ways that customers pay you over the course of a month. Look at the volume and value of transactions paid with cash, check, debit card, credit card, and other payment methods. Think about what percentage of your cash and check customers you could move to cashless options. Think about potential costs for moving to a completely cashless system. These are likely to be transaction costs for credit and debit card payments and any other costs for marketing and communications with customers. If you’re not yet accepting cards or if you want to check if you’re getting the best possible pricing, try our price comparison tool. Request that staff ask customers how they would feel if you stopped accepting cash. Record the reactions and feedback and use that information to help you make a decision. Create a complete communications strategy to let customers know about your move to a cashless payment system. Use in store signage, messages from employees, email, social media marketing, website updates, and more. You want to push the message out as widely as you can. Don’t just switch to cashless overnight. Train your staff to inform cash-paying customers that you’re still accepting cash for now, but will change to cards-only on X date. If someone tries to pay with cash after the switch, let them know you only accept cards. Once you’ve found out what the impact on customers will be, communicated your changes, and gone through the transition period, it’s time to commit, and become a cashless business. What do you think about businesses going cashless? Have you tried it at your business? Let us know your thoughts in the comments section! 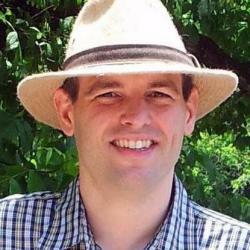 Paul Maplesden is a freelance writer specializing in business, finance, and technology. He brings shrewd research skills to CardFellow, resulting in detailed, actionable information for business owners.Paul finds writing about money deeply interesting, and much of his work for CardFellow focuses on the intersection of payments and technology. Whether he's writing about the latest payment app or detailing the differences in popular ecommerce platforms, Paul's work helps businesses understand the myriad products and services available in the processing industry.Aside from writing, he loves Earl Grey tea, pivot tables, hats, and other fine geekery. I love the idea of going cashless. There is less likely fraud because most accounts are held by banks who will usually reimburse the money flow. Paper money is generally unsanitary, so not having paper money flowing around actually helps society be more healthy and less likely that disease will spread around. Paper money is very prone to counterfeiting, so saying that credit fraud is worse is laughable. The one area that they talked about with transaction fees usually only applies to credit cards, debit cards don’t have these same transaction fees because it’s the customer money and not the banks money. There is the fear that people will spend what they don’t have; this is also not the case with debit cards. If you run it below zero the transaction won’t process. The only thing I would avoid is using credit cards. Don’t use them, and like me, if you have credit card debt find ways to pay it off.